As part of the project team that provided a world-class facility for our warriors to maintain and train for our security, E Cube commissioned this High-Altitude Army Aviation Training Site and successfully optimized energy efficiency and occupant comfort. We are pleased to announce – E Cube is growing! Our most recent addition, Dave Anderson, is a senior project manager in Boulder, Colorado. Anderson joins E Cube from EEI Healthcare, where he served as commissioning authority for new hospital construction projects and comprehensive renovations. His past healthcare clients include Kaiser Permanente, the VA, Virtua, and Denver Health, among others. Dave has served as lead engineer and project manager on a variety of critical facilities projects. He has designed and managed construction of HVAC systems, new distributed control systems, and controls retrofits. His deep understanding of the business enhances our team’s front line capabilities. With the addition of Dave, we can offer clients even more field time with dedicated, hands on commissioning specialists. Join us in welcoming the addition of a seasoned professional with an excellent reputation in the industry. 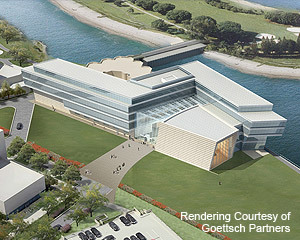 Northwestern University breaks ground on $117 million, 152,000 sf Bienen School of Music. E Cube the commissioning authority establishes enormous leap with energy efficient temperature controls and building systems. Banner Health selects E Cube as their commissioning agent on the new 145,000 sf Banner Fort Collins Medical Center. Slated to open in Spring 2015 as Northern Colorado’s premier healthcare facility. Palomar Health Hospital is one of the Greenest in the United States. Its innovative design and conservation efforts continue to garner attention and accolades throughout the country. 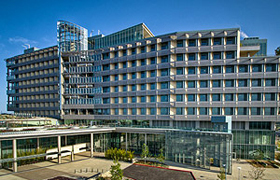 E Cube provided complete building commissioning and post occupancy services.